Howdy girls Its Friday and Its time for a Really fun Project so Grab your supplies and stamp with me today .. We will be making this super adorable gift Card holder ..
Have a Fabulous Friday girls .. Hope you enjoy the video. Dawn, you rock!!! This tutorial and yesterday's are da bomb!!!!! Thank you so much for your hard work in making these tutorials for us! I'm so glad I found your blog a few weeks ago. I love watching your videos. They are so easy to follow and your projects are terrific. I've seen this holder before but now I can make one for myself. Thanks so much for sharing your talents. I love your gift card holder, Dawn!!! It's soooo cute too!! HUGS!! Love these cards!! Boy, do I remember the BeeGees. Great tutorial and awesome music! I love disco music! I think I am going to make some of these this weekend. 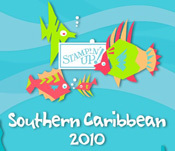 Happy Stamping to you too! Rock on Sister! I'm so glad I got to hear your "Jive Talkin'"!!!!!!! I´m been here many times but never made a comment. So now its time to do so. My name is Bárbara and I´m from Chile but lives in Sweden since I was 11 years old. 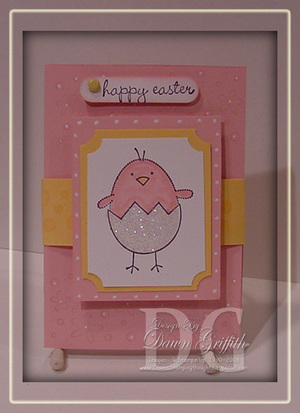 I´m a mother of four wonderful children and I love to scrapbook and cardmaking. I´m so happy to have found your blog. I visit every day and it inspire my a lot! So thanks so much for sharing! Love the card, so cool just like the song. This is amazing, Dawn! Just genius!! 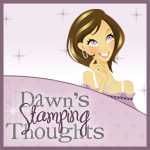 thanks, Dawn, for the awesome tutorial--and the fabulous background music, too, LOL! I cannot wait to try this out. So simple but ever so cute!! Thanks for another great idea, I find so many of them on your site! I celebrate your amazing talents. Thanks for all you do. Wow, thanks for the great tutorial! Love getting new ideas for cards. Can't wait to come back and see more, more, more!!! Loved your idea, I'm usually so bad at these kinda things. But it worked out perfectly thanks to your video. I'm thrilled with the way it turned out. Thanks so much! 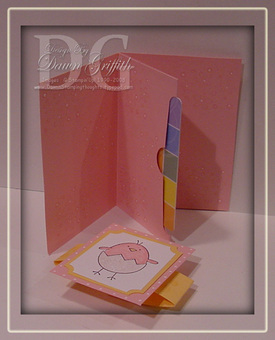 Dawn, love this GC holder, and your tutorial is fantastic (who doesn't love the BeeGees!!). Thanks so much, I used this already to make a card for my Mom. I appreciate the time you took to make and share this with us! I watched your blog, made 5 giftcard holders & posted them on my blog...and gave you credit! Thank you!!! You're terrific!!! (p.s.) if you want me to remove it, just let me know. Great project - got a wedding to go to at the end of the month and they only want gift vouchers as a present. This will be perfect. What a great tutorial! Thanks a million! I am a big fan of yours and I am just beginning in cardmaking but I have subscribed to your YouTube site and I am so excited about the tutorials that you give. I wanted to know if you have one for making a stationary box? This is such a great tutorial! Thanks for sharing.